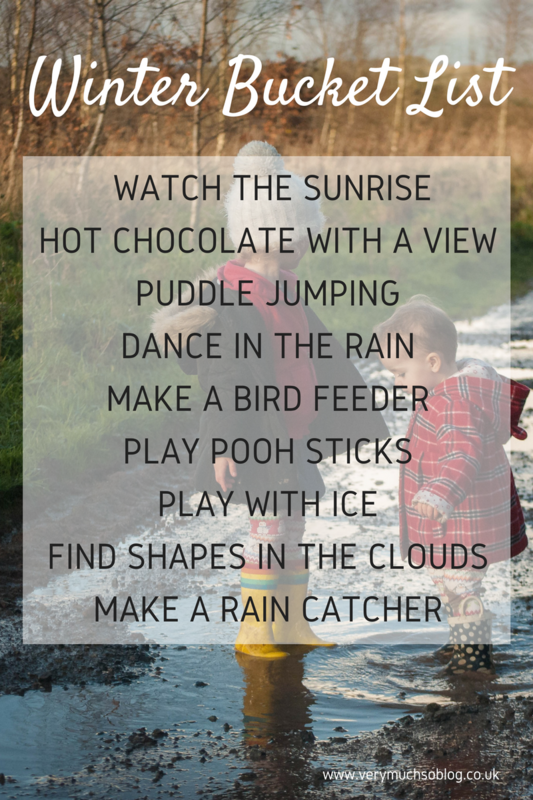 When I wrote our winter bucket list a couple of weeks ago I knew that puddle splashing would be the easiest to tick off. It seems to be constantly raining at the moment so I think we’ve been out splashing around at least once a week but I’ve really struggled to get any photos. 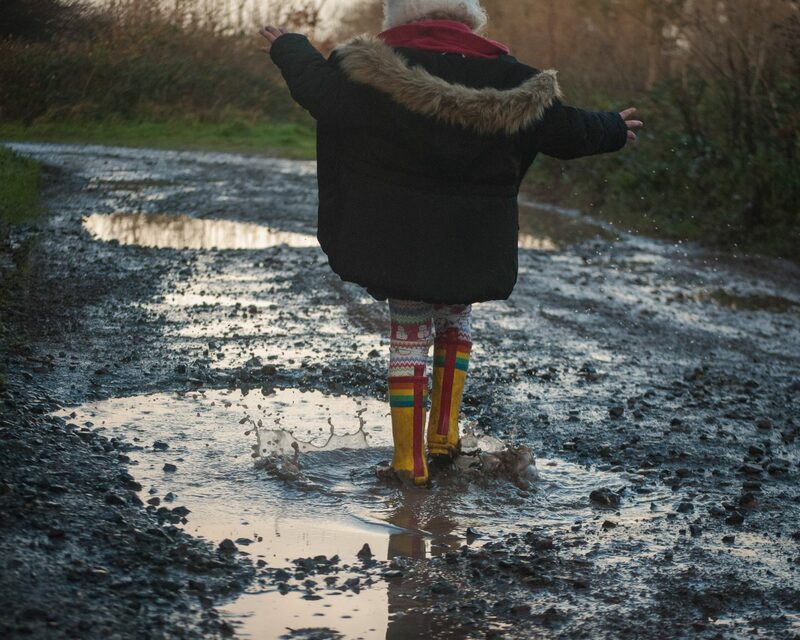 In fact the photos in this post were taken on our trip to Bluestone in December when it was much drier. 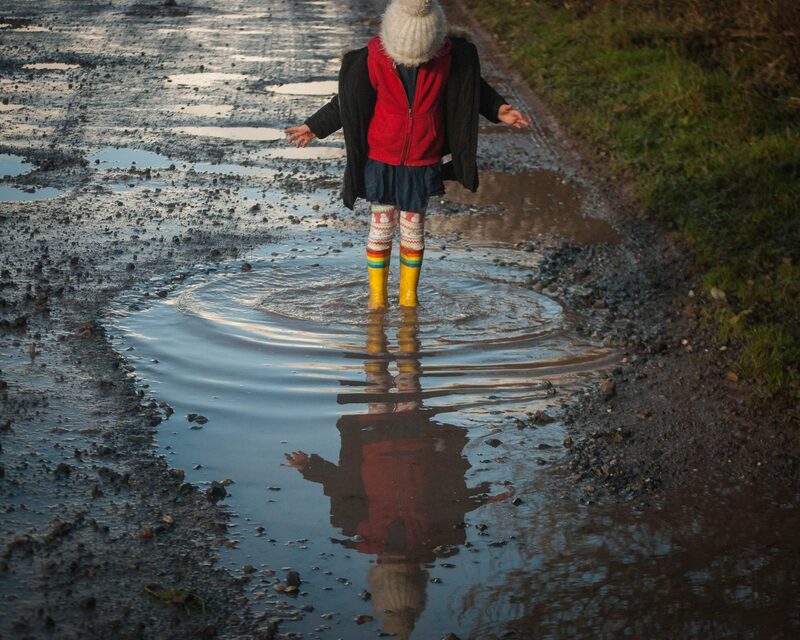 I really don’t like taking my big camera out in the wet weather so you’ll have to take my word for it that we’ve had lots of puddle splashing adventures this month! 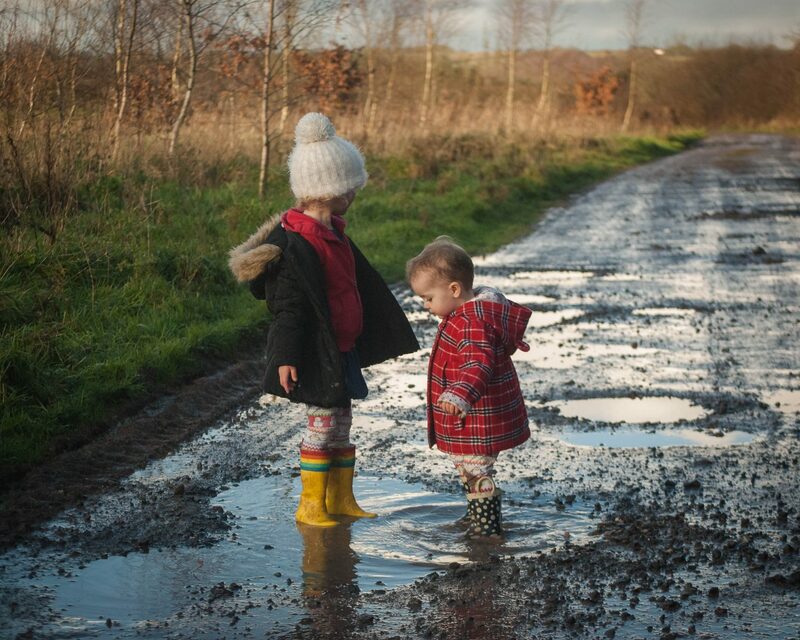 I find puddle splashing to be the most fun just after a big rain fall so you’re only getting wet from the puddles but my girls don’t seem to mind if it’s raining. 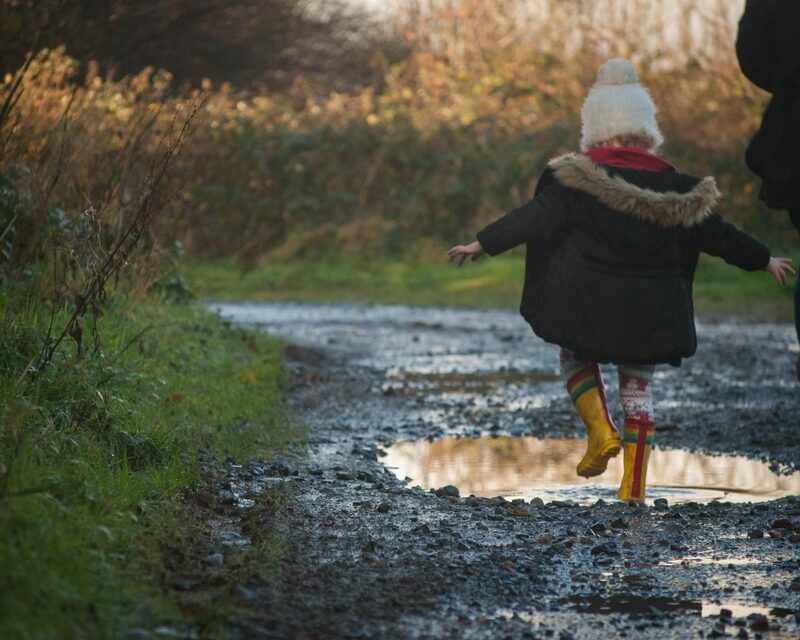 I’m really laid back when it comes to mud and dirt but since it’s January and it’s freezing I make sure to pop them in waterproofs and wellies when we go out as it’s really hard to warm up again in this weather. 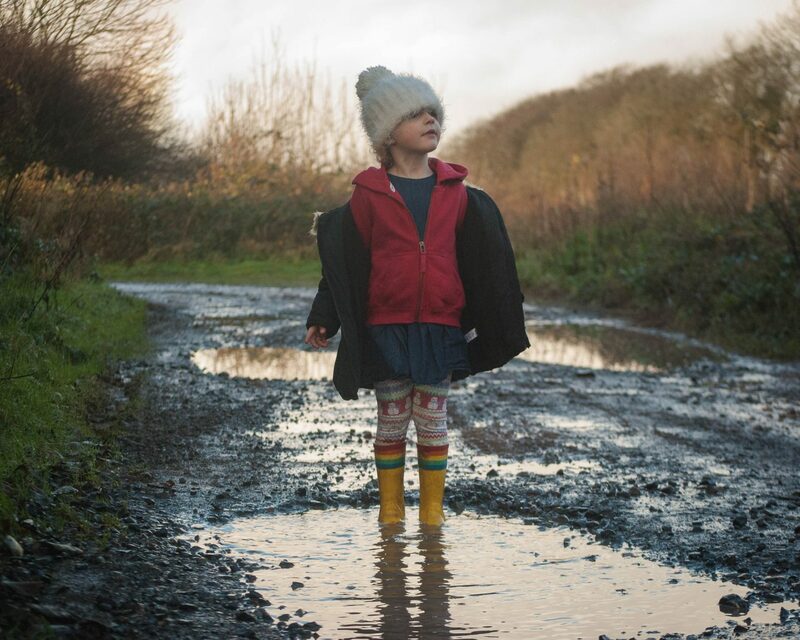 That said these photos were taken in December and they are definitely not in waterproofs (although maybe they should have been as Athena needed a full outfit change when we got back!). 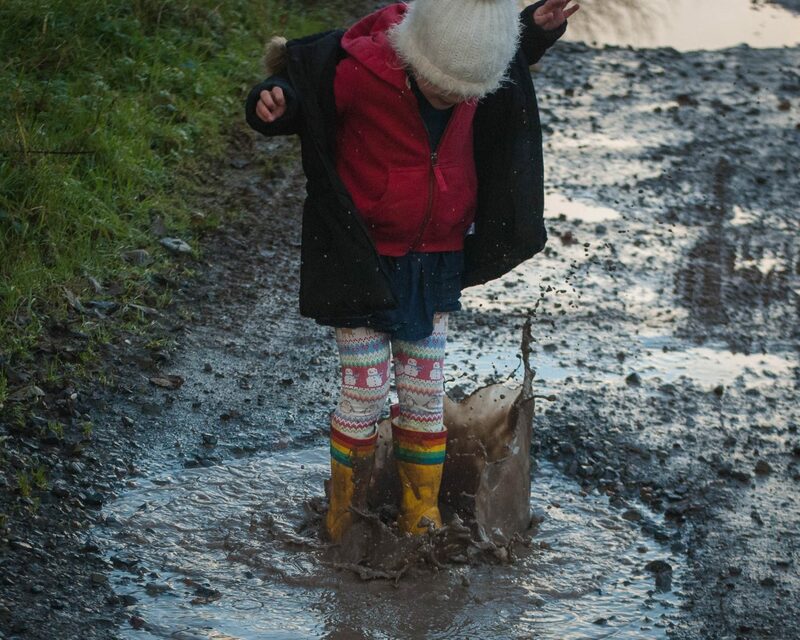 I think that puddle splashing photos are some of my favourite to take. I love the movement and the sheer innocent joy coming from my children as they stomp about in the water. There’s just something so pure and happy about the moment and I think that you can sense that when you look at the photos. So that is two things crossed off our winter bucket list, we need to hurry up and get the rest done as it will be Spring before we know it! I’ve included our bucket list at the bottom of this post if you want to join us making the most of the colder months.